The Summit of Hope is a resource fair for community members recently released on parole and probation to provide them with support and services to ensure a successful reentry into our community. Over 80+ social service organizations are present and there is no charge to participate in the Summit of Hope. Over 800 returning citizens are invited to attend so that means we need about 200 volunteers to greet them and walk through the social service programs with them. For more information, visit their website here. Want to volunteer? Click here. 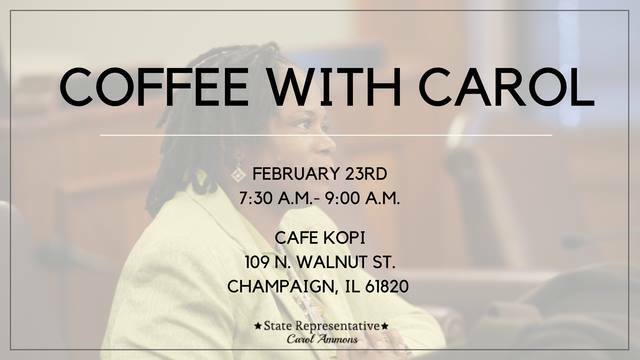 State Representative Carol Ammons invites you, the Champaign-Urbana community, to this month's Coffee with Carol. 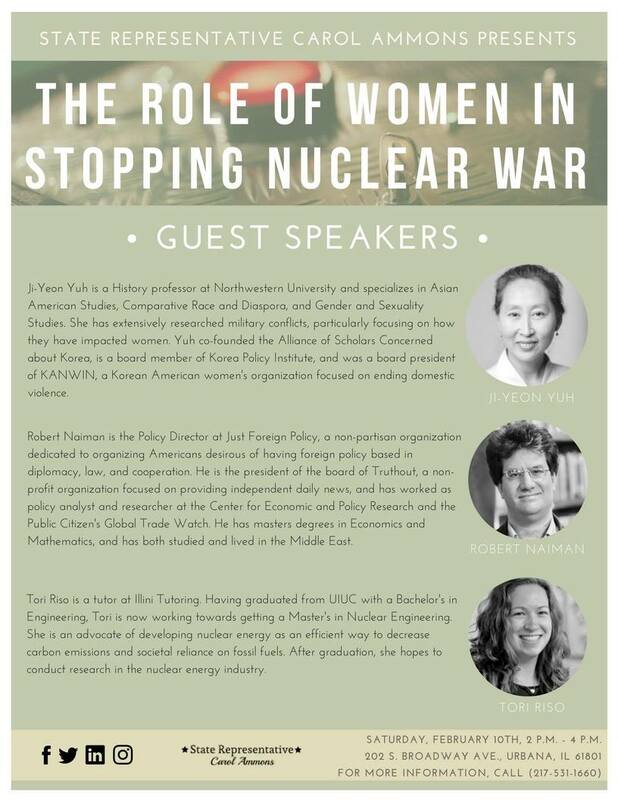 There is not a set topic for this event so meet and discuss anything you'd like with the Representative. Stop by Cafe Kopi (109 N Walnut Street, Champaign, IL) Feb. 23rd from 7:30 AM to 9:00 AM.